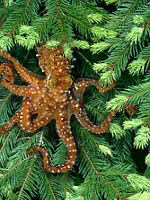 Several years ago I learned about the Northwest tree octopus from a colleague. She had shown a picture to her students and they were amazed to learn about this creature. First, she had them check out this website describing the creature. https://zapatopi.net/treeoctopus/sightings.html This website even has video sightings and blog posts along with the animal’s characteristics. After her students reviewed and shared information about the tree octopus, my colleague revealed to her students that there is no such creature in nature. The students were amazed that they had fallen for this scam based on websites and youtube videos. Through a silly experience like the tree octopus sightings, students recognized that not all digital or print information is going to be true. They began to develop the critical thinking skills they need to identify credible sources. ELA, Social Studies, Science, Math. Critical thinking skills are essential in every content area. Would your students recognize that the tree octopus is totally fictional? Teachers, parents, and students can benefit from the following youtube video to help students learn how to identify credible sources. News Reporting or News Commentary?